Permanently unlock your Pantech with doctorSIM. Cell phone unlocking by IMEI is 100% legal. Use your Pantech on any network in the world. How to unlock my Pantech phone with doctorSIM? Unlock your Pantech phone following the three simple steps above and without it leaving your side. No technical knowledge is required to either submit your unlocking request or type the unlock code into your cell phone. With doctorSIM, your Pantech will be unlocked permanently in record time. Is it legal to unlock a cell phone using an unlocking company? It is perfectly legal to unlock your cell phone using an online third-party unlocking provider. In fact, unlocking phones via IMEI is the only official and recommended method by the phone manufacturers and network providers themselves as it won't damage the phone or void the warranty. Can I unlock any model of Pantech phone? doctorSIM can unlock all Pantech phone models. You don't need to specify the exact model because the unlocking instructions are the same for all. Just make sure you note down the IMEI number correctly and specify the network provider the phone is locked to. However, if you need to know the exact model of your phone for any other reason, for example, to confirm the authenticity of a phone you want to buy second-hand, you can do so using our Pantech phone model finder. Type *#06# on your phone's keypad to obtain the IMEI number. Yes, unlocking your phone with doctorSIM is permanent. You can also restore your phone to factory settings and download all official software updates without fear of your Pantech locking again. On the rare occasions, your phone may prompt you to re-enter the unlock code, simply follow our instructions again as they will always be valid. How can I pay for my unlock code? doctorSIM supports over 30 payment methods depending on your country and your preferred currency. You can pay using PayPal, credit and debit card, Apple Pay, Bitcoins, bank transfer, and also with cash. You can find more information on doctorSIM's payment methods. Yes, we do. However, if for any reason under the responsibility of doctorSIM your Pantech cannot be unlocked, we will issue you a full refund. Keep in mind that we do not issue refunds if your phone's IMEI has been blacklisted by the network provider due to loss, theft or non-payment. I want to unlock my Pantech, but my carrier has reported it due to non-payment. Can doctorSIM unlock blacklisted phones? Yes, we can unlock blacklisted phones. Unfortunately, your Pantech won't work properly while on the blacklist even if it is unlocked. It may work abroad, but there is no guarantee that it will. 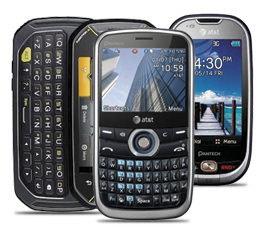 You will need to pay off all your pending bills and then contact your carrier to have them remove your cell phone from the blacklist before you can use it on another compatible GSM network. We are a fully registered professional unlocking company. Full refund if your Pantech cannot be unlocked for any reason under our responsibility. Pay for your unlock code using a wide variety of secure payment methods. Unlocking by IMEI won't void your cell phone's warranty. Step-by-step instructions on how to complete the unlocking process delivered straight to your e-mail. You do not have to restore or update the software to unlock your phone. Avoid unnecessary bureaucracy and having to wait months for your unlock code. Our unlocking method via IMEI is the method recommended by Pantech.